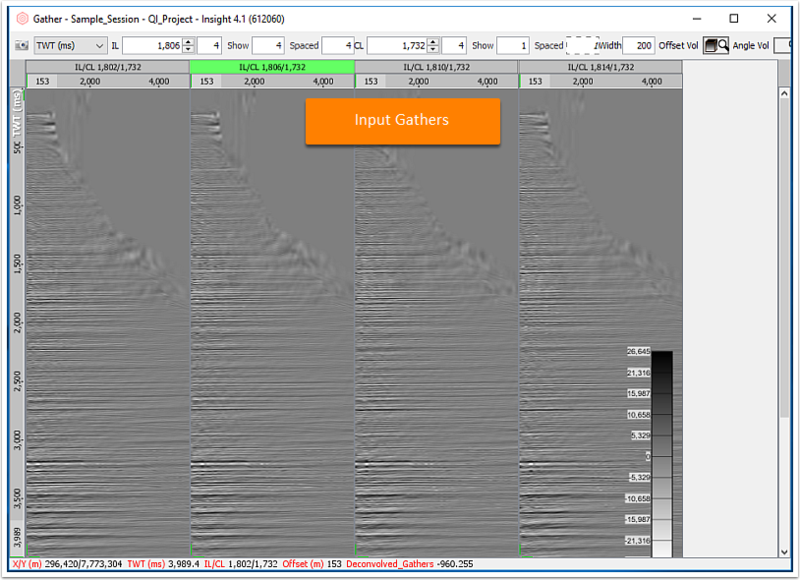 Description Convolve a volume with another volume, trace, or wavelet. 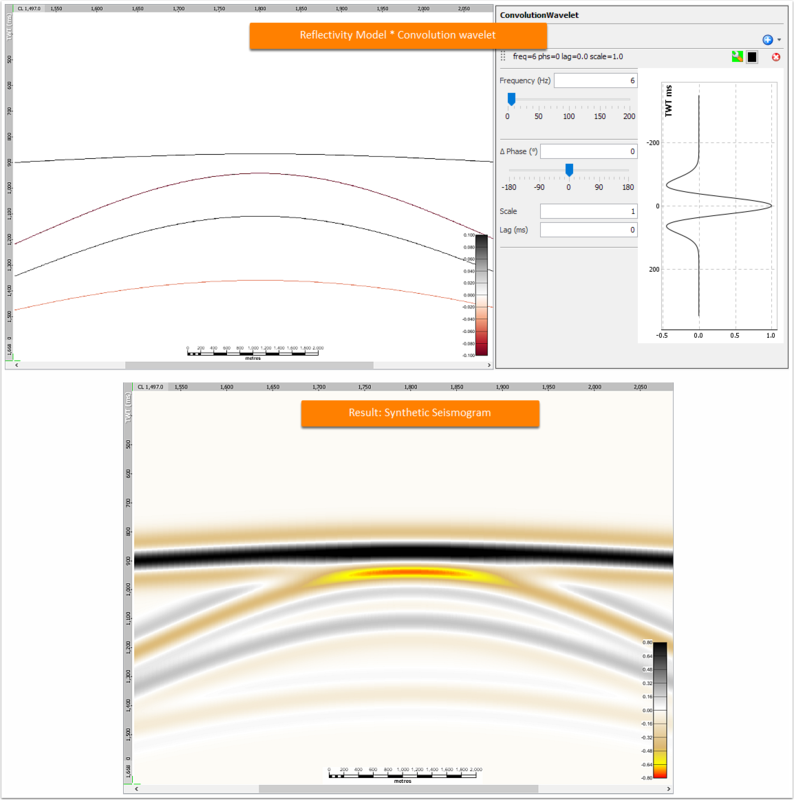 This process convolves a volume with a wavelet, trace or volume of traces. Applications include filtering seismic data, and combining a reflectivity series with a wavelet to generate a synthetic seismogram. Go to the Process tab, click the "+" button and search for Convolution. Click and provide a name for your convolution process. Select your volume from the Volume search box. Matching trace for each input trace: Each trace in the primary input volume is convolved with a corresponding trace from the convolution volume. The convolution volume in this case should be the same type as the primary input volume. Single trace per gather: Each trace in a record in the primary input volume is convolved with a single trace from the convolution volume. The convolution volume in this case should contain only a single trace per record. Single trace: Each trace in the primary input volume is convolved against the single trace found in the convolution volume. 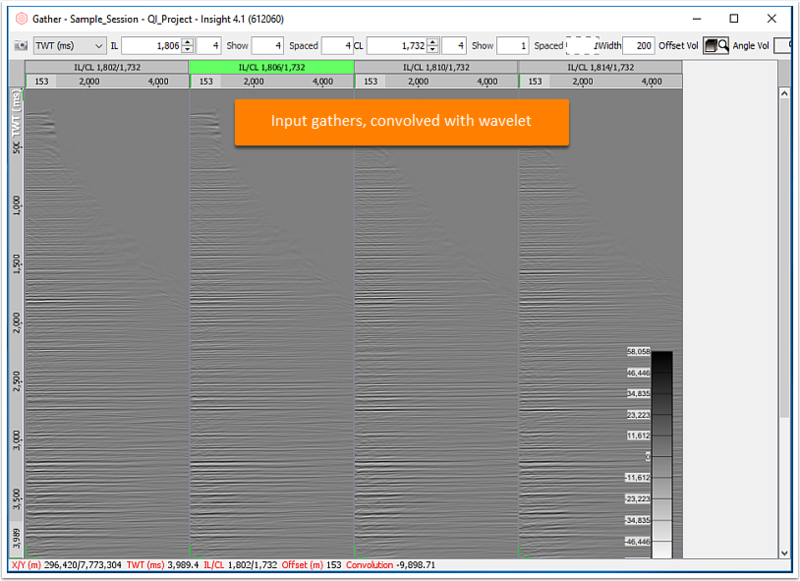 Wavelet: Each trace in the primary input volume is convolved with the given wavelet. 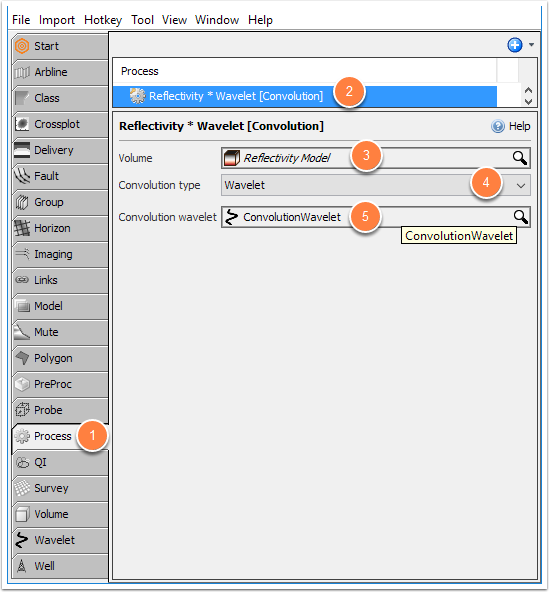 Select the Convolution wavelet from the search box. Note: The selected wavelet must be a single wavelet - not a multi-wavelet field. In this example, a statistical wavelet was extracted from the mid-stack. 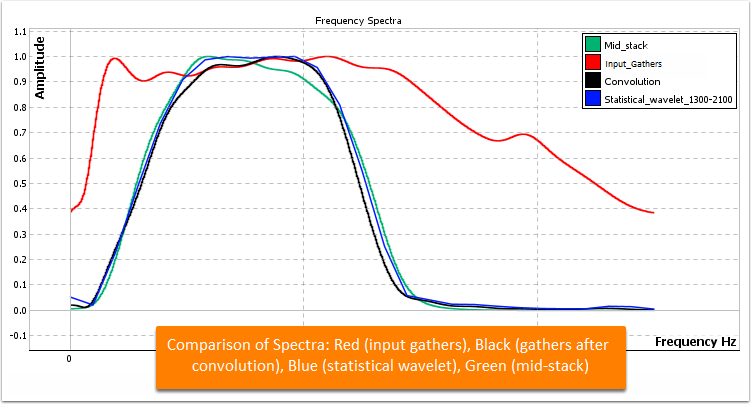 Convolution is used to spectrally filter the gathers to the same bandwidth as the mid stack.